Have you seen Twister? He's missing from his summer home! Twister has gone missing from his summer home in Nampa on Monday. He is an educational tortoise at Reptile Adventures, which does outreach shows educating the community about reptiles and their benefit to both us and to wildlife. Twister is a very large tortoise, weighing about 75 to 80 pounds. His shell has been painted red, white, blue and yellow by his previous owners before he was surrendered to Reptile Adventures. Twister's main job at the educational facility is teaching people how to care for the gentle giants, and he is greatly missed! There is no evidence of him breaking out of the fenced yard that he lives in, and all of the other tortoises are there. 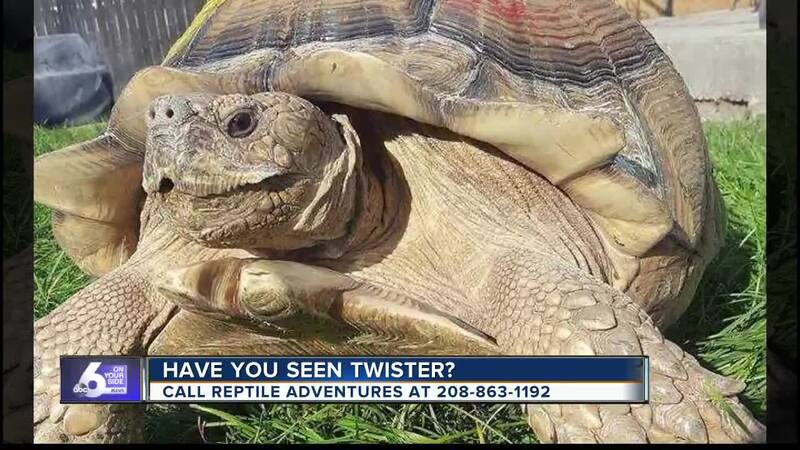 If you have seen Twister, you can contact Reptile Adventures at 208-863-1192 or on their Facebook page.